England found their style at the World Cup but is it already time to change? One of the oldest traditions in international football used to be England having the best 11 players on the field but being unable to play them as a cohesive team. That changed last March when England’s young and innovative manager, Gareth Southgate, started playing with a back three. It was a system he carried through the duration of the World Cup. At first, Southgate’s style was questioned, especially his use of right back Kyle Walker as the right sided center back. But Southgate’s logic was solid. Playing with a back three allowed him to deploy nearly all his players in a very similar role they were playing with their club. In Walker’s case, Southgate noticed that while Manchester City’s back four was more of a hybrid between a four and a three. When attacking, Walker wouldn’t get forward like most fullbacks do, instead he would tuck inside and hold his position in the midfield. By lining up Walker as a center back, Southgate was able to bring Kieren Trippier into the team, a player who offers a lot more going forward, but isn’t as solid defensively. When England were defending, Walker would shift over to play as a right back while Trippier was more of a right winger. The back three also allowed Southgate to deploy Jesse Lingard and Dele Alli in more central “free-eight” roles, eliminating the need for a second defensive midfielder. Most importantly, the system allowed Raheem Sterling to play next to Harry Kane, the same position he was lethal in for Manchester City. It’s nearly impossible to say the system didn’t work. England made it to the semifinal and Harry Kane won the Golden Boot. Yet, it wasn’t perfect either. England’s World Cup run was built on the back of set-piece dominance. They scored just three of their 12 goals from open play (a number hindered by a run of bad finishing from Sterling). Kane’s golden boot conquest was helped out by three penalties and a ridiculous deflection. That’s not to take anything away from what they accomplished, but it’s fair to question whether or not that’s sustainable. That shouldn’t be a question that has to be asked though. This England team is young and uber talented, they should be building on last summer’s run. But can they build on it without changing their system? The one constant in international football is that it’s always changing. Even a team that looks set for the next four to six years could look drastically different in two years time. A year after Southgate deployed his back three the core of his England squad looks mostly the same. While injuries certainly play a role in how an international team looks (Jesse Lingard was left out of the squad due to recovering from an injury) the biggest agent of change is form. Form fluctuates. It can be the cause of a player getting back into the side (Ross Barkley) or the reason to leave someone home (Ashley Young, Danny Welbeck). It can also lead to a youngster who wasn’t in the picture a few months ago forcing his way into the team (Declan Rice, Jadon Sancho). But form also isn’t the be-all end-all. Southgate is very careful about picking players for a very specific purpose. Aaron Wan-Bissaka is having an incredible season, Kieron Trippier is not. Yet it’s Trippier getting the call. That’s likely because neither of them were going to start, and Trippier can change a game more going forward off the bench than Wan-Bissaka. This is what makes an international manager’s job nearly impossible. You want to be playing your in-form players. Good form leads to confidence which leads to better performances. But you also want continuity. Jadon Sancho has been on fire recently. A goal and four assists in his last four games makes leaving him on the bench seem foolish. In 2019, Marcus Rashford has displayed how much better and more dangerous he is as a central striker rather than playing out wide. Dele Alli is having an MVP season for Tottenham as a number eight, do you want to saddle him with more defensive responsibility? How can Southgate get all of his players onto the field in their most dangerous role is a nearly impossible question that international managers are plagued with daily. Every action effects the team in a different way. Dropping the out-of-form Trippier and switching to a back four would open up the right wing for Sancho but that would also mean either Dele, Sterling, or Rashford wouldn’t be able to play centrally (or even play), weakening the team in other areas. Southgate did switch to a 4-3-3 in England’s final three Nations League games but that could have been influenced by injuries to Dele, Lingard, and Kyle Walker. Now is the time for Southgate to start trying to answer those questions. 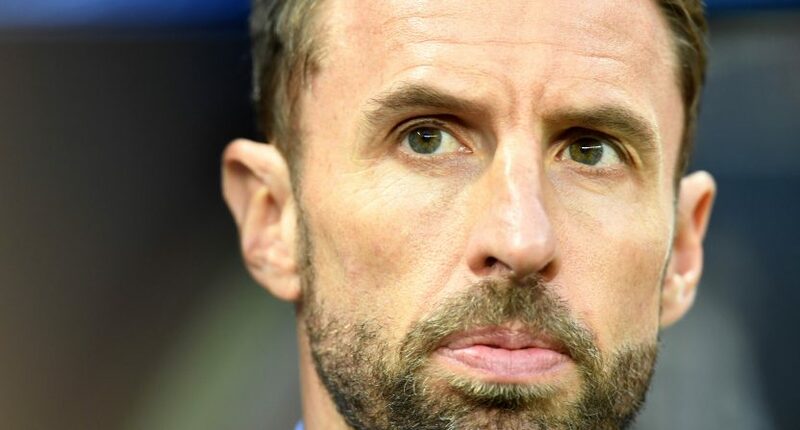 Over the next few months, Southgate has Euro 2020 qualifiers, which provides a big margin for error but also not very tough competition, and the UEFA Nations League finals to try different systems. Winning the Nations League would be great but the ultimate goal is to be as prepared as you can so you can make a run for Euro 2020. The best thing that could happen to Southgate this summer would be to uncover a new system that could be used in addition to the one we know already works. Flexibility is a good thing. If England can find it, they’ll be a real player for years to come.